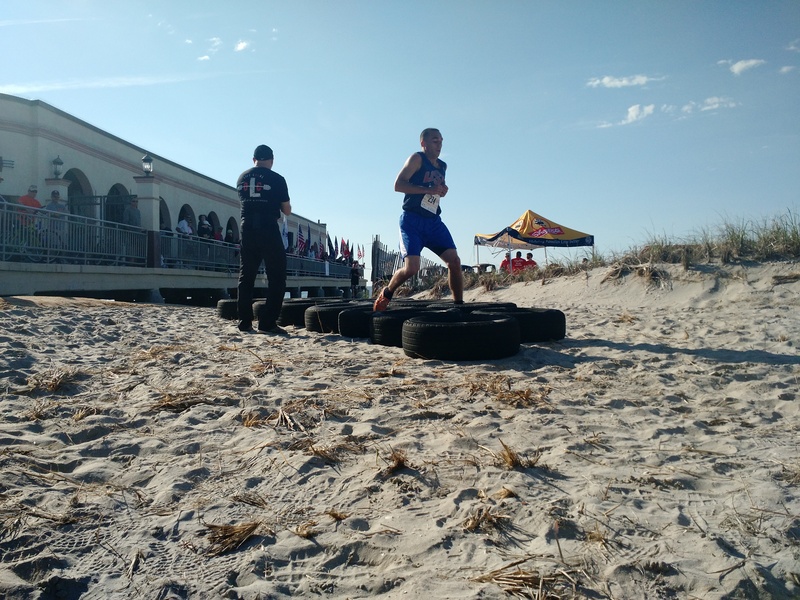 Last month I recapped the Memorial Beach Challenge race from Ocean City, NJ. 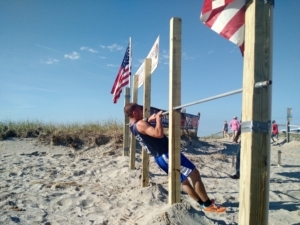 One of the obstacle stations was built and manned by the team from Local Gym and Fitness. 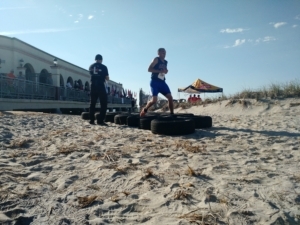 It was a triple threat obstacle with tires laid out on the sand for high knees followed by pull up bars capped off with a super low barbed wire crawl through the soft sand. 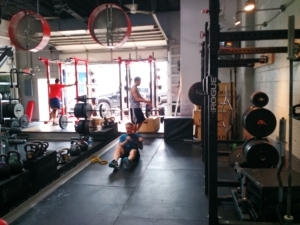 The gym is located at 9th and Asbury. You pass right by as they are one of the first businesses you encounter when you arrive on the island. I had the pleasure to work out with them for a solid week. 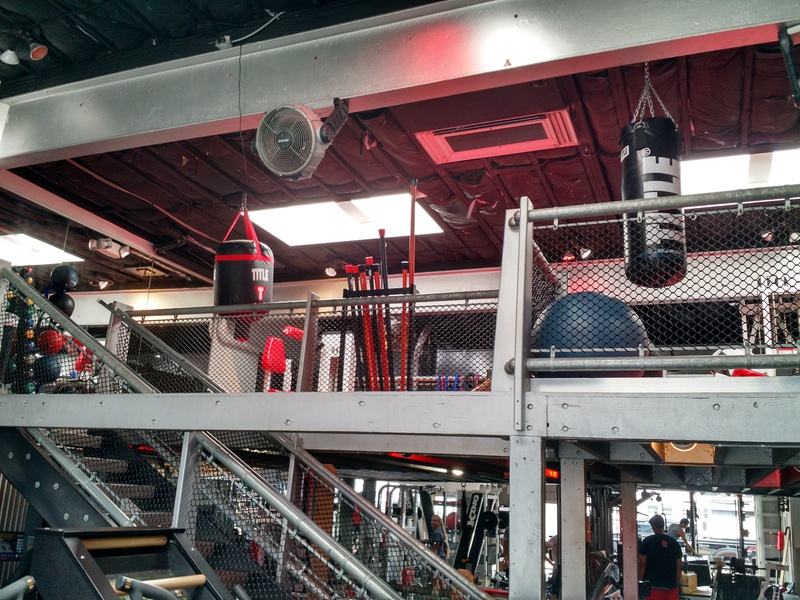 This is the kind of gym that reminds you why you still workout on vacation. 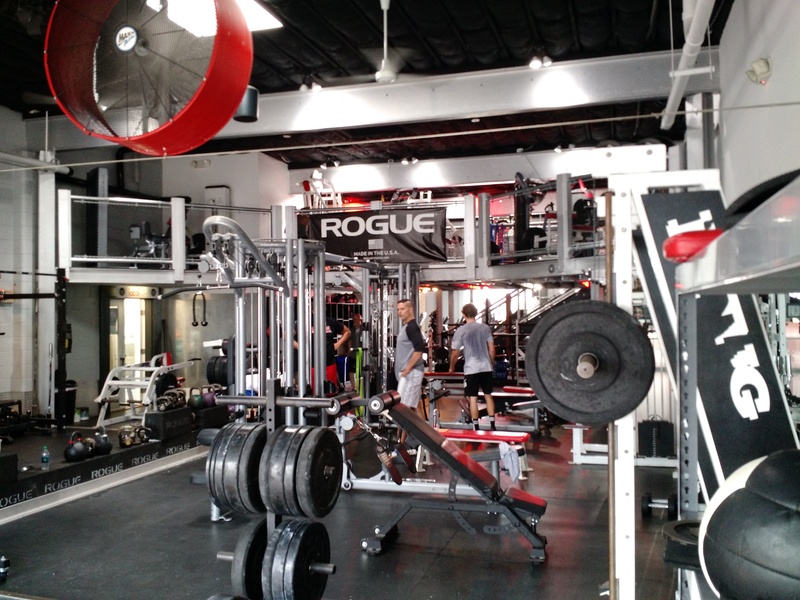 The gym has four owners. I know Fritz Hastings. They are OC residents with over 100 years of combined experience in coaching. This is their second go at one of the first real gyms on the island. 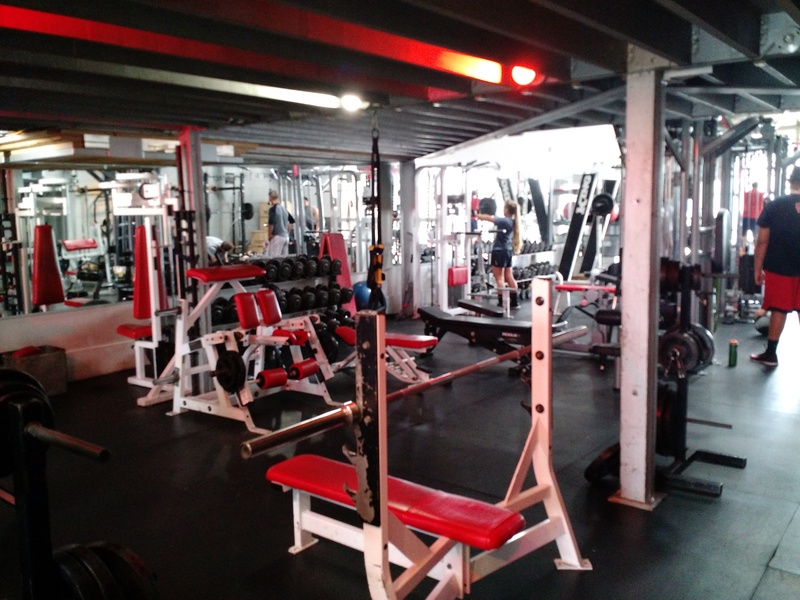 To me, a real gym is a sweat gym. No mirrors or chrome. This is where you see and hear iron pounding thick rubber mats. This is where champions are made. It’s clean. People sweat a lot here but they clean up after themselves. It’s cooled by cross ventilation between the open front doors and the rear bays plus a few fans placed here and there. 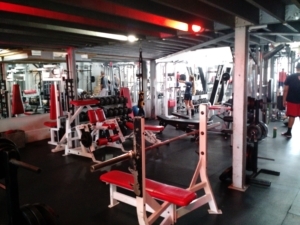 They have a ton of free weights and a few cable machines. The front room is lined with a handful of treadmills, stairmasters, rowing machines, ellipticals, and a Jacob’s Ladder. Upstairs is a padded floor for stretching, yoga, TRX, foam rolling, and a few heavy bags for boxing and MMA training. Four racks line the back walls for the serious lifters. 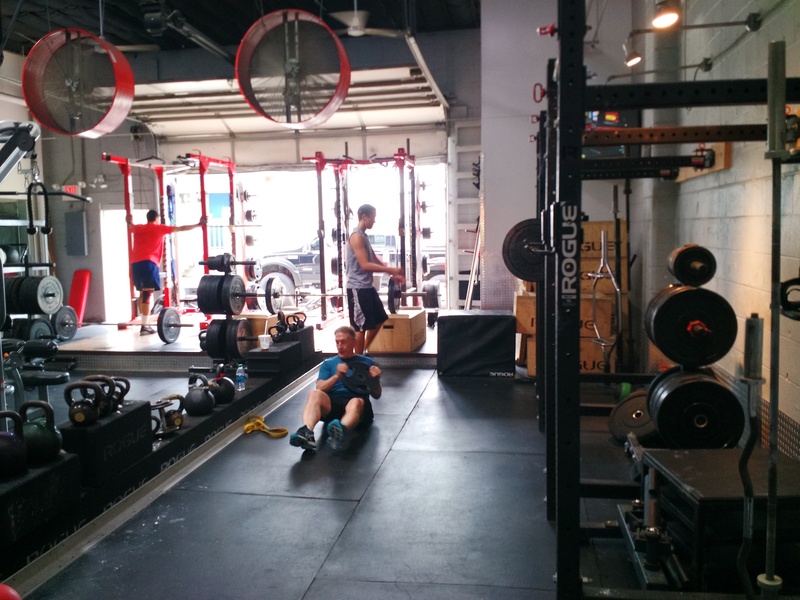 There’s plenty of Rogue equipment and floor space for the bodyweight trainers like me. I started day one on the treadmill doing the grinder. Ninety seconds of 15% grade run followed by 30 seconds of burpees, pullups, air squats, or whatever else I could squeeze into my fast and furious 30 minutes. 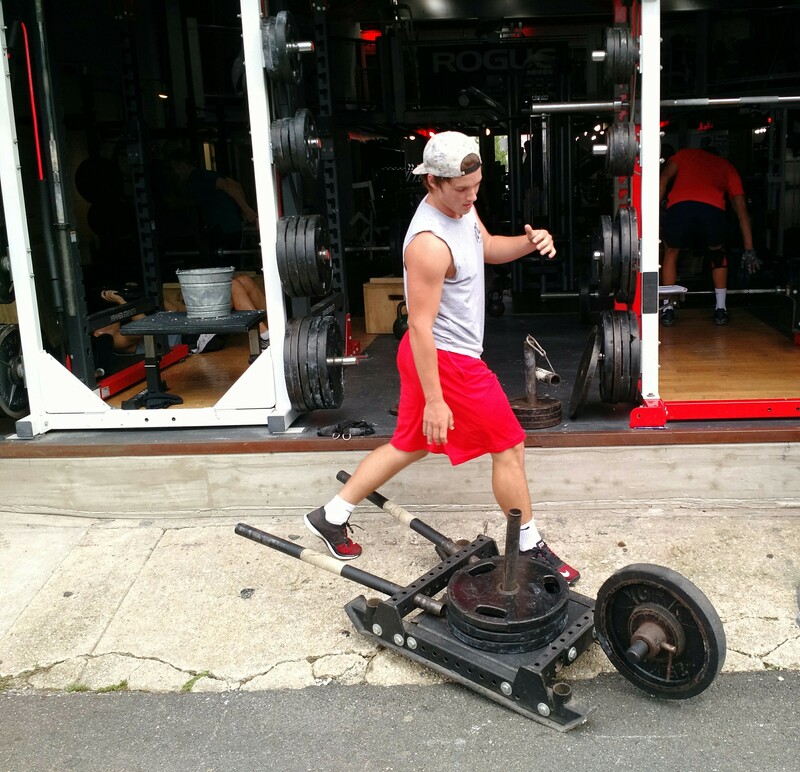 I learned the grinder from Matt Novakovich and Robert Killian earlier this year. I don’t think anybody in the gym had seen this routine before. Lots of funny looks but no questions. Day two was 10/100 training courtesy of Yancy Camp. 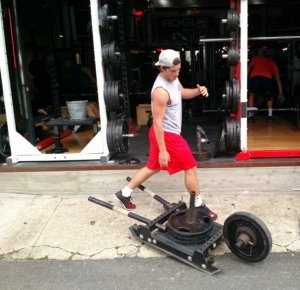 There’s no better method of increasing grip strength. I mixed up my half hour with the pullup version, negative pushups, handstand pushups, chair tricep dips, and loaded squats. Day three was all about speed work. 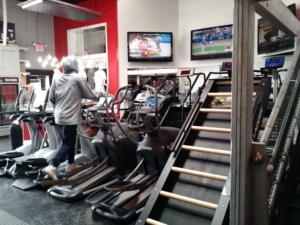 Ten minutes all out on the Stairmaster, then the rowing machine, then the treadmill. Sweatfest 101. Days four and five again alternated between strength and cardio training with some HIIT thrown in. Overall, it was a high intensity week at a gym that had everything I needed to power through 30 minutes of bliss. But wait. There’s more. I told you the gym has a great location. Head out the door and run off the island. Then head back. It’s a five-mile loop across the causeway linking the island to the mainland with two immense bridge hills. I ran it twice this week with a nice refresher in the gym later in the day. Since the gym was just around the corner from my rental house, I was able to stop by a few other times and spend a moment talking to Fritz. Business is tough across the island. 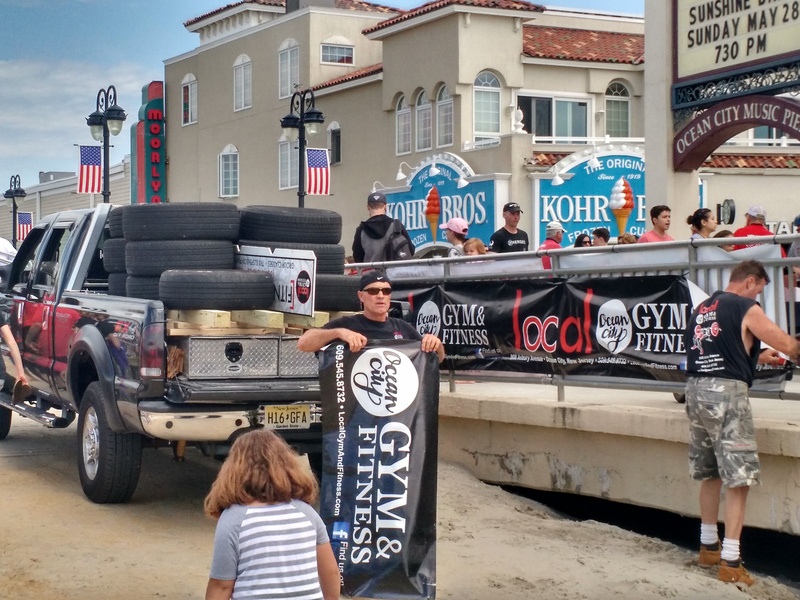 Ocean City relies on tourism for most of its income. Although they were voted the #1 Beach in America last year, and although they have well over a century of tourism, it seems people are not spending much money on things other than stuff on the boardwalk. If self-indulgence is what vacation is all about, why not set aside a bit of that budget for a very low-cost week at Local? That’s what my buddy John did last year. Based on my recommendation, he planned part of his vacation day to start at 0600 at Local. By the time his wife and kids were up, he was done his workout and ready to be with the family for the rest of the day. I asked Fritz if he had ever tried some recruiting events on the boardwalk. There is one game room up there that features a strongman punching bag right out front. The teenage boys love the thing. Drop a dollar, wind up, and hit it as hard as you can to get the highest score and bragging rights for the day. 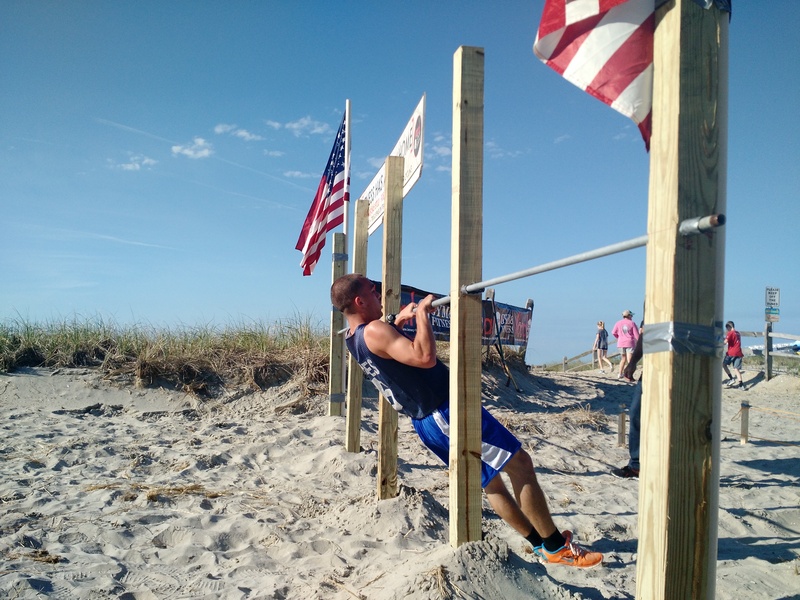 Why not pullups, pushups, benchpress, and other competitions? Local did all that for years. Surprising to me, Fritz said it turned less than 1%. Sure people will want to play, but not walk the extra three blocks to the gym for serious exercise. That’s a shame. Because like my friend John said, he plans for part of his vacation to include working out. That’s vacation to him. 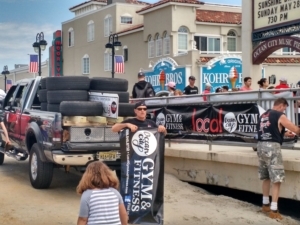 So my OCR friends, wherever you go on vacation, plan to support your local gym.